The honey bee originated in tropical Africa and later dispersed to northern Europe. It has been suggested that a higher hemolymph storage capacity for the glycolipoprotein vitellogenin evolved in temperate regions, and that the trait constitutes an adaptation to a strongly seasonal environment. We have investigated whether the relative vitellogenin levels of European and African honey bees are in accordance with this hypothesis. Our data indicate that European workers have a higher set-point concentration for vitellogenin compared to their African origin. 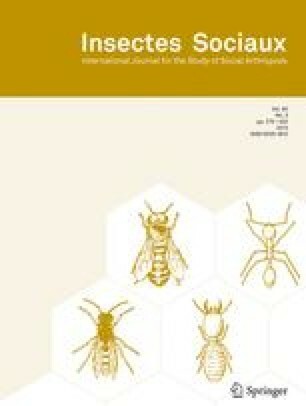 Considered together with available life history information and physiological data, the results lend support to the view that “winter bees”, a longlived honey bee worker caste that survives winter in temperate regions, evolved through an increase in the worker bees’ capacity for vitellogenin accumulation. Received 20 September 2004; revised 25 March 2005; accepted 13 April 2005.